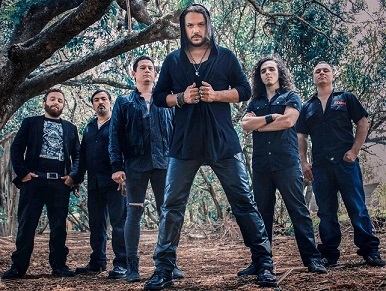 Costa Rican metal has not really managed to hit the spot light, with few bands ever even signing contracts outside of the country, so San José`s Wings of Destiny and their deal with Power Prog Records is something of an exception to the rule. 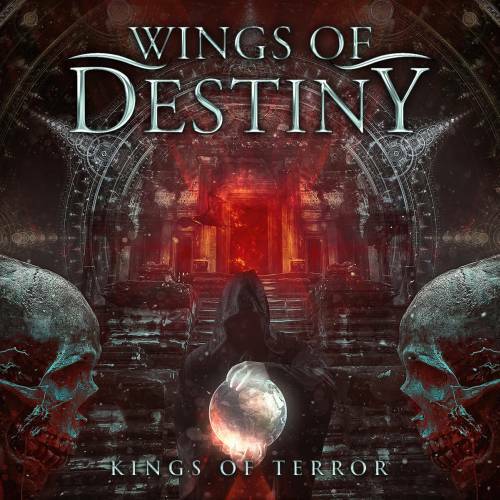 Their second album Kings of Terror is trying to prove to the metal masses that they are worthy of this exception and their power metal definitely has all the elements to be what it takes to get the metalhead soul moving. Risen from the band Destiny (with probably the genericness of their original name being the main reason for adding some wings to it), the quintet has both feet firmly planted in the power metal soil, but instead of just simply emulating the Helloweens or Rhapsodys or Iced Earths out there, Wings of Destiny actually manage to deviate from the straight and all too easy path and inject some fresh life into the sound without going off the deep end either. One of their biggest assets is vocalist Anton Darusso, who does not only have a good, powerful power metal voice, but also some more aggressive undertones on offer, which may at first seem a little limiting, but in the end instill a sense of heaviness to their sound that many other bands of their ilk do not have. “We Bring You the Night” is a near-perfect opener to lure the metalheads into the band’s lair, epic, tight, with nailgun double-bass doubling up the guitarwork and the grittier vocals in the verse giving way to a soaring chorus, it is playing out all of the band’s strengths to keep the listener captivated and hungering for more. And it continues into “Angels and Demons”, which shows more of a bombastic side and reminds a bit of Rhapsody (which ironically is featured in a second version with Fabio Lione as guest vocalist), and tighter, heavier “Kings of Terror”, showing that these guys are not just playing around. Wings of Destiny are anything but a one-trick pony here, mastering the above-mentioned heavier as well as bombastic side of power metal just as well as balladry (“Siren’s Song”) and a few folk influences (“Touch the Sky”), creating a very diversified yet at the same time still cohesive whole that might not necessarily be able to convert any disenchanted metalheads, but more than definitely should cater to a wide array of power metal fans, not least since they also have a powerful production to boot that allows the many different elements to get the proper surroundings. Kings of Terror is definitely one of 2016’s biggest power metal surprises so far and convinces on all fronts. Powerful and heavy, yet at the same time melodic and epic, Wings of Destiny might very well be the band to put Costa Rica on the metal map! This entry was posted in Power Metal, Reviews and tagged 2016, 9, costa rica, Fabio Lione, helloween, iced earth, power metal, power prog, rhapsody, San Jose, wings of destiny.